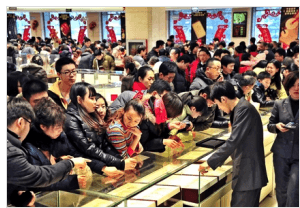 The Singapore Jewellers Association (SJA) said that the demand for gold will reach up to US $1,400/ounce this year. This is higher compared to the previous year’s US $1,200/ounce. According to businesses, strong buying was seen in December 2013 because of Christmas. It does not end there because the sales will be increased to 20% because of the 2014 Lunar New Year. The kind of gold you should buy: This is a simple concern but the answer is more complicated than it looks. When you are asking the kind of gold you should buy, you should first ask yourself what your goals are. If your goal is to evade financial uncertainty or take advantage of price movement, the present bullion gold coins will be best. If in this case you are interested with seizing gold or controlling capital, you should go for historic gold coins. When you should buy: Now this is a simple concern. You should buy gold when you need it. Think of gold as your wealth insurance. Gold is different from real estate or stock investments. In real estate or stocks, it needs proper timing. In gold, timing is not an issue. If you believe that you need to purchase gold to ensure your wealth, you should purchase right away. Profile of gold investor: Gold ownership is not something exclusive that only privileged people can buy. Anyone can be a gold investor. Some of the people who consider gold include business owners, physicians, teachers, nurses, plumbers, contractors, engineers, attorneys. Regardless of the age, gender and profession, gold can be bought. Percentage of asset to invest in gold: The rule of thumb is to invest 10 to 30% of your assets. If you want to go beyond that, it is your choice. If you are not afraid with the country’s financial, economic and political situation, you can invest as many as you want. The most important aspect of gold investment: The most important aspect of gold business is the people you do business with. 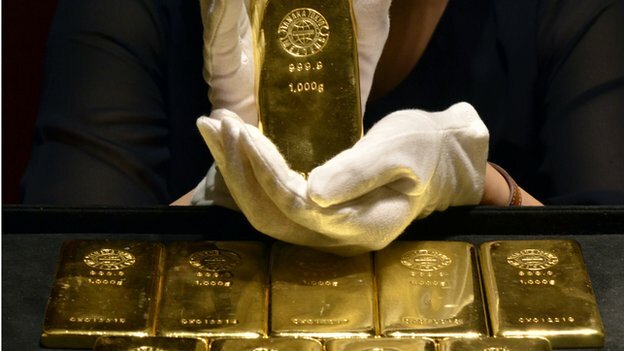 It would make a great difference if you transact business with an experienced gold firm. Your chosen firm can help you with your journey and they will make things easier. There you go. Investing gold is a complex business and it is risky but if you get the feel of it, your investments will surely pay off. Do not just take the plunge. You need to know the business of gold buying so you will not be lost. Good luck on your business!